The Certified Mountain Area Specialist (CMAS) designation was designed years ago by MMAR to help our agents understand more about mountain area intricacies that make our market unique. This certification is NAR recognized and MMAR owned. The original intent of designers of CMAS was to offer it to other associations who could also benefit from the knowledge and it has always been open to Realtors from other associations who wanted to come to Evergreen to attend the classes. However, a number of issues caused MMAR to delay offering the CMAS to a broader audience until now. In 2017 the MMAR Board of Directors approved a new designation the CMAS-Affiliate. This allows all current MMAR Affiliates to also obtain the designation. Also in 2017, the Chairman’s Advisory Group, comprised of Employing Brokers from the MMAR service area recommended that CMAS finally fulfill it’s original intent and be offered to other Realtor Associations who conduct business in the foothills and mountain areas. The idea was that Realtors are already doing business in those areas and it is better to work with someone who understands the mountain area issues than one who does not. In March, 2018, 27 Realtors from the Estes Parker Board of Realtors became the first group to receive what is being called CMAS Zipped when we offered a two-day, eight class certification in Estes Park. The MMAR task force has been charged with locating other associations in Colorado who would also like to participate in this program. MMAR members benefit greatly by offering these classes. Not only do we earn 100% of the income from the classes, we also earn residual income from the annual requirement classes to keep the certification. With this extra money, the board plans to buy needed equipment for MMAR training, hire a second part-time employee, and place extra funds in reserve in case of a down market. This will increase service levels to our Realtor and Affiliate members as well as continue to keep us financially strong. One of the core tenants of MMAR is to help our members better serve the public through education. CMAS will continue to help our members and our Realtor/Affiliate colleagues to do the same now and in the future. The stats are in! Check out what happened in April in the Foothills. 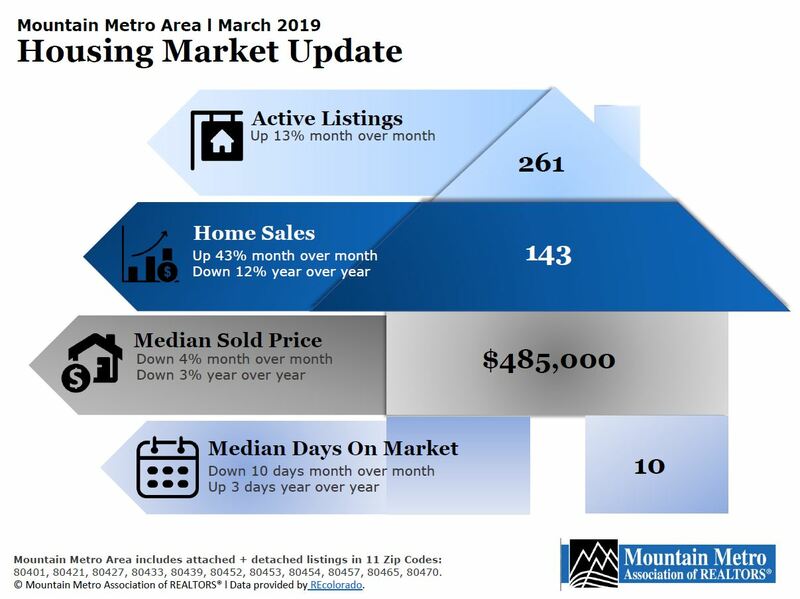 The market area statistics for April are here from the Colorado Association of Realtors. Check out the many reports they produce for Mountain Metro Association members as a resource to you. Linked below you will find four area breakdowns to share with your clients and friends. Check back here for monthly updates! Hey there! March Stats from CAR are here and the market is moving and shaking. Check out the latest right here every month! Check out the many reports they produce for Mountain Metro Association members as a resource to you. Linked below you will find four area breakdowns to share with your clients and friends. Check back here for monthly updates! REColorado has announced its partnership with a new technology company available now called Remine. This product can be accessed through your current REColorado login and connect dashboard. Below are details and information about the product. Remine is a new and innovative tool that puts agents in the center of the transaction, providing them with more content, data, and actionable intelligence than anywhere else. It is a property intelligence platform that brings property data and consumer data together to reveal opportunity and motivation. Access to Remine, which includes public data and property index on specific properties, and the ability to search, filter, and track capabilities for 150 properties. The ability to upload our own contacts into Remine. If you are interested in learning more about how to use this insightful tool, MMAR Realtors can follow the link below to register for the upcoming class. Space is limited! The market area statistics for February are here from the Colorado Association of Realtors. Check out the many reports they produce for Mountain Metro Association members as a resource to you. Linked below you will find four area breakdowns to share with your clients and friends. Check back here for monthly updates! The market area statistics for January are here from the Colorado Association of Realtors. Check out the many reports they produce for Mountain Metro Association members as a resource to you. Check back here for monthly updates. More than 250 Realtors including many of Mountain Metro Association’s board members listened to economic overviews, Gubernatorial candidates panel and much more on Wednesday and Thursday last week as part of Colorado Association of Realtors’ Economic Summit and Realtor Day at the Capitol. It was a packed two-day schedule really highlighting where this market has come and the challenges that face us in the next year. Anti-growth ballot Initiative No. 66 was a big topic of conversation among Realtors and candidates alike. All the potential Governors on the panel agreed that it would certainly not alleviate the affordable housing issues in Colorado and would oppose the measure. 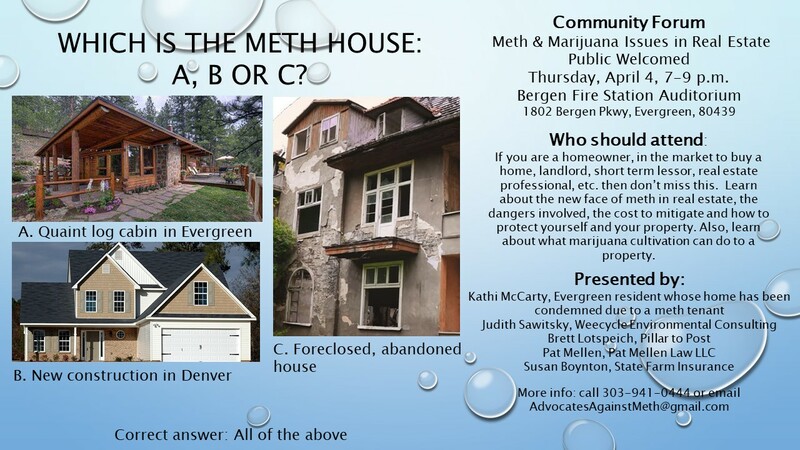 More on that initiative and the Realtor Reaction can be found in the Denver Post article here. Other key topics included infrastructure, transportation and affordable housing. Each candidate for governor offered their personal take on the situation and hopes for possible solutions. Tracey Wilson with IPX1031 Exchange offered a thorough breakdown of the tax reform changes, some of NAR and RPAC’s big wins on the tax reform bill and his outlook for the coming year. He expects the inventory shortage will remain constant this year as we see several FED rate increases.